We’re confident that our prices are amongst the very keenest out there, and we are substantially cheaper than major garden centres. We offer bulk discounts that they may not, and our own label can provide the same quality you are looking for at a much lower price. Please be assured that we check this regularly and are constantly lowering our prices. 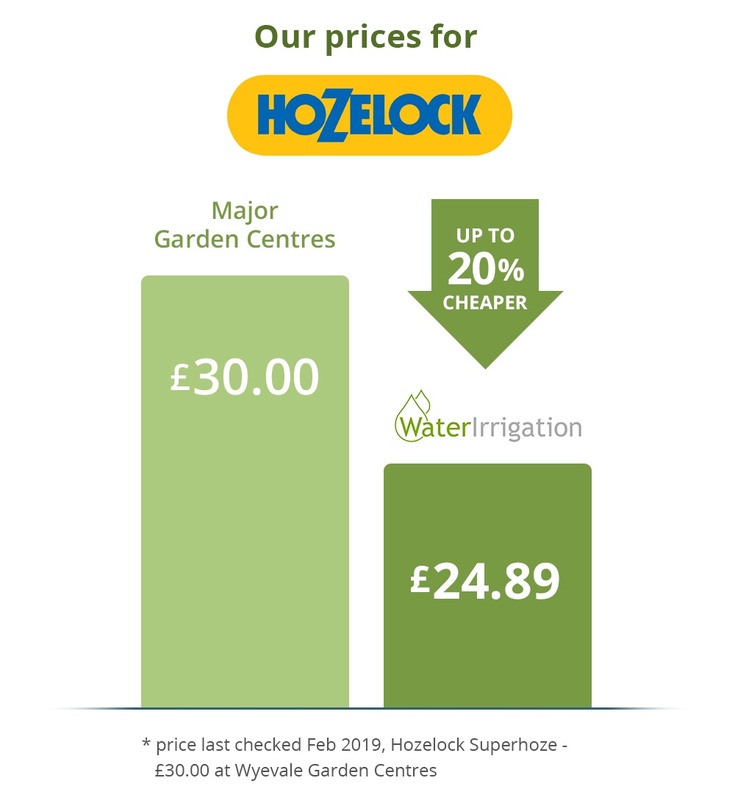 Water Irrigation is up to 20% cheaper than major garden centres, on the biggest irrigation brands. 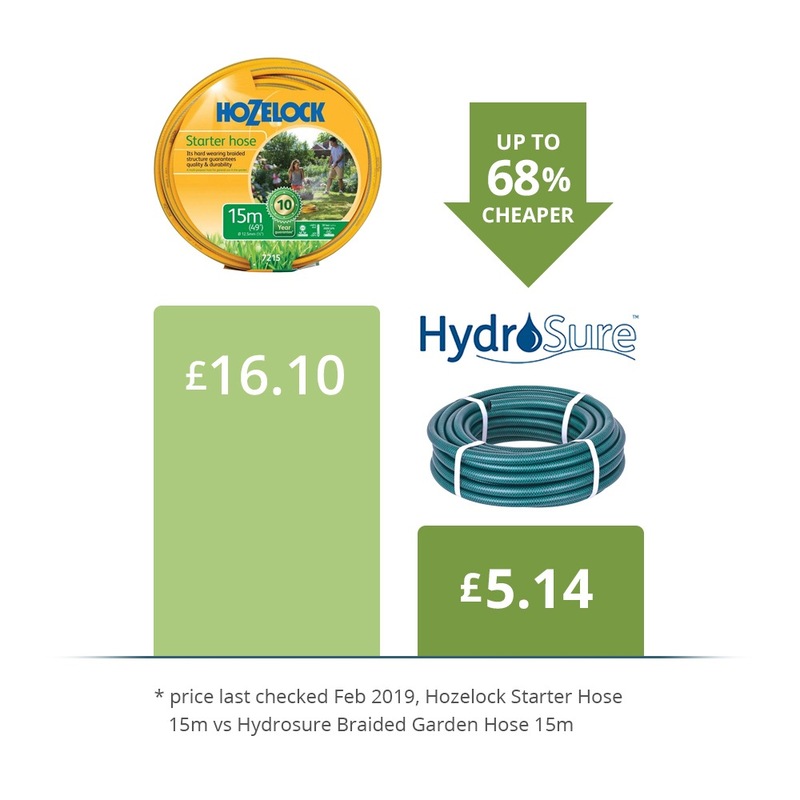 We frequently compare the prices of the major brands against the big retailers' price , so you can be confident we are saving you a lot of money. We offer better value on our exclusive own label brands. 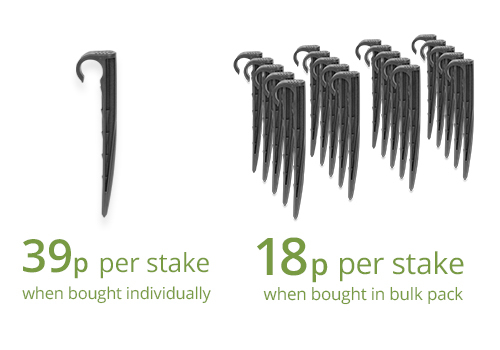 If you buy our own label, you can get the same quality with a massive 68% saving over the leading brands. Water Irrigation exclusive own label products offer dramatically lower prices for the same great quality. If you buy more, you save more. In addition to having lower prices, on some products you can save another 20% by buying in bulk. It seems fairer this way.